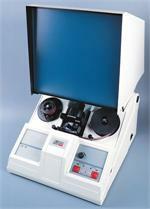 MicrofilmWorld.com offers a wide range of quality, discount priced pre-owned microfilm and accessories. 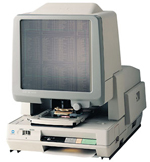 Microfilm & microfiche readers, reader printers, reader scanners, roll film carriers, zoom lenses, archive writers, high speed microfilm scanners, microfilm cameras, processors, duplicators and more. Please note that used & refurbished equipment is subject to sale without notice. Please call if you have any questions regarding used equipment or need assistance in determining which piece of equipment will best meet your requirements. Some used systems on our website are refurbished at the time of sale and require a 2-3 week lead time for delivery, please inquire to know if the product you seek falls into this category. Discontinued and obsolete models include: Canon PC70, PC80, MP50, MP60 & MP90 and the NP680/780/880/980 series of Reader Printers. Minolta RP502/503/504/505/507/509/600Z/603Z/605Z/607Z/609Z. Bell & Howell and Kodak both have models that are equivalent to many of these Canon and Minolta systems. Minolta MS-3000 Microform Scanner, pre-owned. 60 Day Warranty. Pre-Owned Minolta MS-6000 Microfilm Reader-Scanner w/ Dell PC System, Scanning software, a complete turn-key solution or configure with laser printer for stand alone solution. Pre-Owned Minolta MS-7000 Microform Scanner w/ twain drivers and Minolta scanning utility. Windows XP. Pre-owned, Low Usage Minolta MS6000 MKii Microfilm Reader-Scanner / Printer, USB interface for XP, Vista, W7, W8 32 or 64b. Your Price: Only one at this price! Nice pre-owned Kodak Reference Archive Writer i4800,w/ one cassette (choice 100 or 215'), PC pre-installed with Kodak software and synced with i4800 for ready to use turnkey system. Kodak i-7300 Microfilm Scanner, PC card, cable & software. Pre-Owned, Low Usage Contex ACS-4600 Aperture Card Scanner. * Refurbished upon sale, 2-3 week lead time. * Call for availability! 30 Day Parts Warranty only. Your Price: Call for price and availability. No longer sold new, only refurbished.